Hug Point - Oregon Coast Activity #21 of the 101 Things to do on the Oregon Coast . What a great Oregon coast activity this one is! Before the completion of highway 101 was finished in the late 1930, travelers driving down the Oregon coast, whether on horseback, horse and carts, stagecoaches or later motorized vehicles, the main road was actually the beach! Imagine how difficult it was when confronted with one of our many headlands. 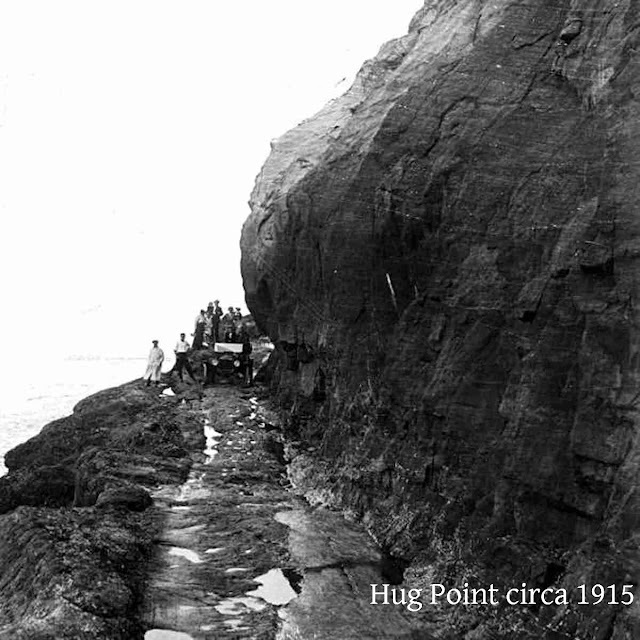 Hug Point got its name because travelers wanting to get from Cannon Beach south to Arch Cape had to wait for low tide and hug the point to get past it. 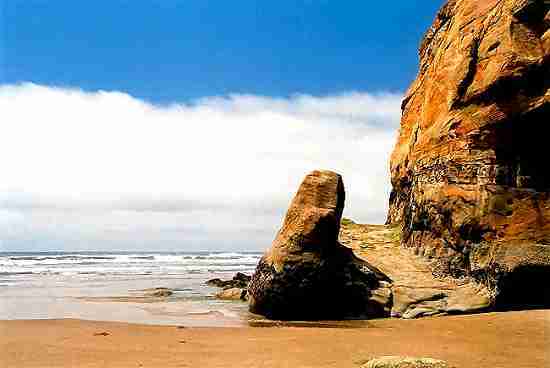 It’s a steep, rugged ridge of the Coast Range that thrusts right out into the surf, to its very edge. Stagecoaches could maneuver on the sand, but when automobiles entered the picture, something had to be done. Sometime after the turn of the century, there was a small 'road' blasted into the rock which made transit from one community to another much easier. Today, you can still see the remains of the blasted road into the rock. 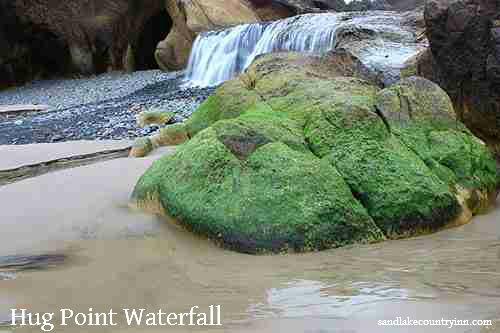 Hug Point is a great place to explore sea caves and a seasonal waterfall. Hug Point and Hug Point Falls is found in Hug Point State Park, which is found a little less than 5 1/2 miles south of Cannon Beach and the turn off for Ecola State Park. From the parking area, follow the stairs down to the beach, then head right towards the headland jutting into the crashing tide. If the tide is high, the ocean will lap up against the headland, preventing access to the falls. When the tide is low, simply walk around the headland to the falls. Oregon Coast Activity #21, From our blog series "101 Things To Do On The Oregon Coast".